Although your access to our online databases and journals may go away, you are always welcome to get in touch with the IHP Librarians and ask questions. Welcome to the MGH Institute of Health Professions Alumni guide to Library Resources. If you no longer have your Partners username and password, we are not able to offer you the Treadwell Library resources you used as a student, but our librarians may be helpful to direct you to other sources. 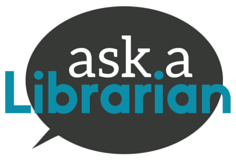 We encourage you to stay connected with the Institute and if you have trouble finding what you need, please get in touch by using the Ask a Librarian service. We love hearing from our alum! Clinicians who are not associated with university or hospital library tend to rely on these four sources for literature. Current employer - even if your employer does not provide an entire library, they may still have a handful of subscriptions. Ask! Public library - you'll be surprised to learn what you can get through your library's online databases and interlibrary loan/document delivery services. Boston Public Library - available to all Massachusetts residents; sign up for an eCard now. Find your local public library. Open Access Journals - more and more journals are offering some or all of their content for free. Take a look at the Free Full-text box on the left for some places to start looking, or find discipline specific titles on the tabs above. Check out these pages to see what might be available for free. For resources specific to your profession, see the page linked at left. RefWorks is a tool for keeping your citations organized and helping you format them in just about any citation style you'll encounter. As an alumni of the Institute you still have access. Get started! In the Remote Access area, enter the current Group Code: RWAlumni and click the Go to Login button. On the RefWorks User Login for RefWorks Alumni Site page, click on the Sign Up for an Individual Account link. Complete the required information making sure to select the name of the Organization your alumni status is affiliated with in the User Type drop-down. Click the Register button when finished. You will be brought into your new, empty RefWorks account.